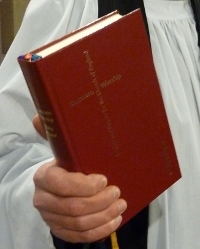 Using Common Worship Daily Prayer the office of Morning Prayer is said at 9.00am on four days each week. Morning Prayer is said at St Peter’s Church on Tuesday and Wednesday and at St John’s Church on Thursday and Friday. At both churches clergy are regularly joined for Morning Prayer by a few other members of the congregations.